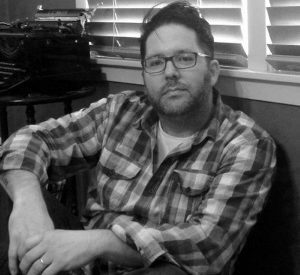 TONKAWA — Northern Oklahoma College Language Arts Instructor, Dr. Brandon Hobson, was recently longlisted for the 2018 National Book Award for Fiction for his novel, Where the Dead Sit Talking. “I’m honored and humbled to be included among these wonderful writers and to be chosen for such a prestigious list,” Hobson said. Hobson has previously won a Pushcart Prize, and his work has appeared in magazines such as The Believer, The Paris Review Daily, Conjunctions, NOON, Post Road, Narrative Magazine, Puerto del Sol, and in many other places. He is an enrolled member of the Cherokee Nation Tribe of Oklahoma. The finalists will be selected in October and the award will be presented Nov. 14, in New York City.